I had 12 pieces leftover tuyo (dried fish) in the fridge that I haven’t cooked yet. Don’t want these to be ‘Exhibit A’ for the next few weeks and so I thought I should make tuyo fried rice. I vividly recall how the kid struggled to take out the tuyo meat off the bones the last time I cooked them (that was Good Friday!) and I am just not the kind of mom who would do the dirty job for a 12-year old boy. (Sorry my dear sister who still removes prawn shells for my 21-year-old nephew.) So, if I’m on to it… then I do it for everybody including me hehe. I also thought it would take me no time to prep this. Fried rice is easy peasy. But this one… no. You need at least 15 minutes to fry the dried fish and it took me 20 freaking minutes to flake them. All together this fried rice dish took me an hour. Well… it doesn’t really matter. It’s all worth it! Heat oil in a pan. Fry tuyo until the scales are falling off on both sides and the smell is less fishy. Scoop out and set aside to cool. Meanwhile prepare all the other ingredients. Flake tuyo, getting rid of scales, heads and bones. Set aside. Heat a bit of oil in a wok. Scramble the eggs in the wok. Scoop out and set aside. Add a tbsp of oil in the wok. Fry cooked tuyo for about a minute to heat it up and make it a bit crunchy as desired. Scoop out and set aside with the cooked eggs. Add another tbsp. of oil in the wok. Add garlic and sauté until fragrant. Add carrots and peas and stir-fry for a minute. Add cooked rice. Toss to combine with the peas and carrots. Add soy sauce, oyster sauce and freshly ground pepper. Toss carefully to mix all ingredients and seasoning. Stir-fry until rice is heated through. Turn off the heat. Toss in tuyo flakes and scrambled egg. Transfer to a serving bowl and garnish with fresh coriander sprigs. It took 15 minutes for me to cook the dried fish and, at the same time, prepare the other ingredients. Then 20 minutes to flake the fish and finally, 25 minutes to cook fried rice. I usually use dilis because that’s much, much quicker to do . 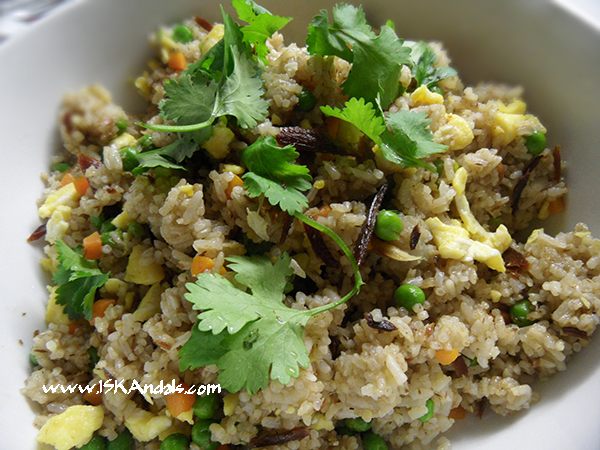 i love tuyo fried rice. love LM’s tip up there in the comments, lol. i wouldn’t have thought of steaming tuyo. I love tuyo (or any other type of salted dried fish, usually), so I just know that I am going to like this dish! 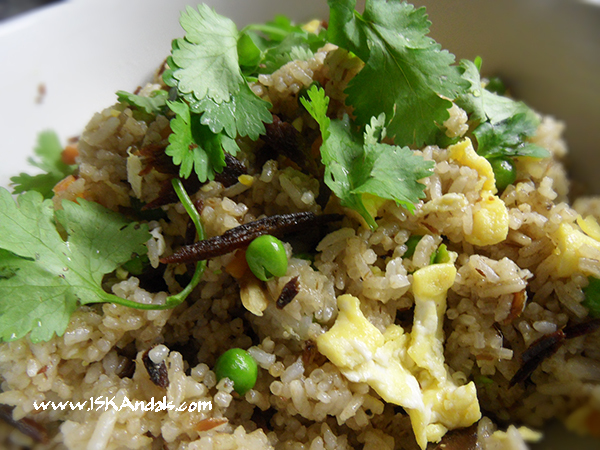 Adding oyster sauce to fried rice is new for me…got to give that a try sometime! I love tuyo, and rice. 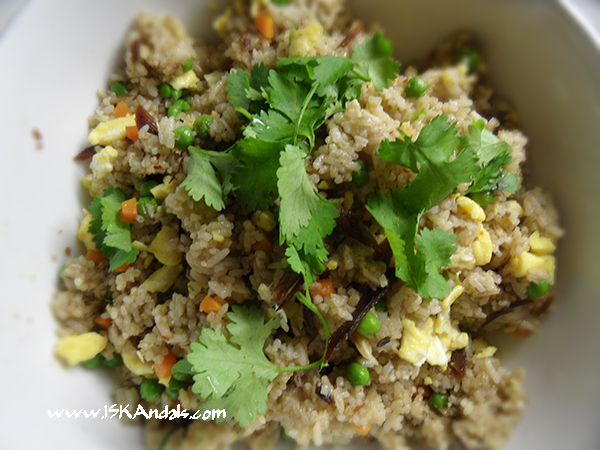 Combining both as fried rice is surely delicious! Can’t cook tuyo though in my apartment or I might clear the building unexpectedly. I’ll try wrapping it in tin foil as suggested above. Wooden train serial toys used to be the favorite toys for a lot of generations of youngsters. within an enormous variety of varying designs made with different materials for a number of vehicles. Nerf longshot ebay Some wooden toy box selections are turned into theme-related objects offering further entertainment for that curious child. the standard problems of kids toys are targeting some aspects. to store toys and also the dorm bedding.